English: Chinese Taipei Olympic Flag. 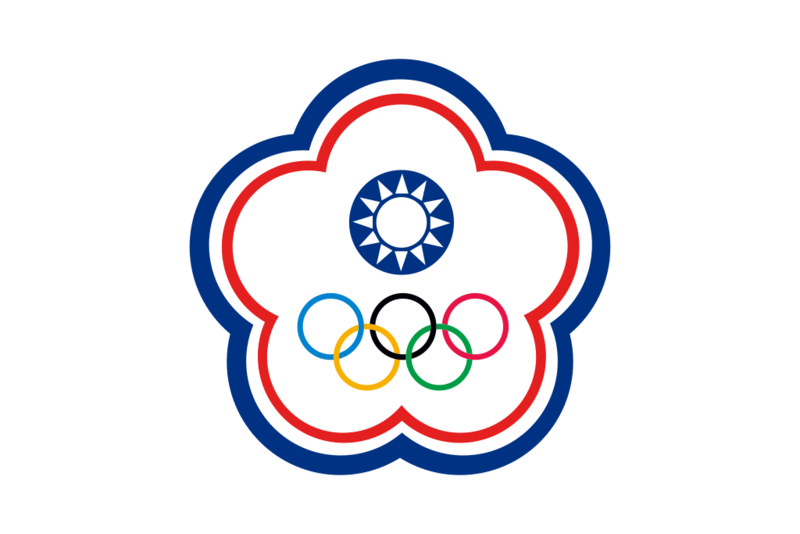 According to the official website of Chinese Taipei Olympic Committee, Blue Sky & White Sun above the Olympic rings is not the National Emblem of the Republic of China, but the very similar Party Emblem of Kuomintang (KMT), as registered at International Olympic Committee in 1981. Besides, the blue outline of the five-petaled plum blossom is broader than the red one. Moreover, the CMYK code of the blue one and the Blue Sky & White Sun is "C100-M100-Y0-K0", and different from the Olympic rings (C100-M25-Y0-K0). Note that it's the only version recognized by IOC. This work has been released into the public domain by its author, Denelson83. This applies worldwide. Denelson83 grants anyone the right to use this work for any purpose, without any conditions, unless such conditions are required by law. 19:58, 11 พฤศจิกายน 2557 900 × 600 (12 กิโลไบต์) Akira123 Revise the color code of blue and the proportions of Withe Sun at Blue Sky. 23:08, 25 กันยายน 2557 900 × 600 (12 กิโลไบต์) Fry1989 Violates COM:Overwrite without consensus, source is not accurate. 12:38, 25 กันยายน 2557 900 × 600 (9 กิโลไบต์) Akira123 Reverted to version as of 13:43, 24 September 2014. See the talk page and based on the official website. 23:48, 24 กันยายน 2557 900 × 600 (12 กิโลไบต์) Fry1989 Source is distorted and breaks with other files. 20:43, 24 กันยายน 2557 900 × 600 (9 กิโลไบต์) Jitcji According to the official site of Chinese Taipei Olympic Committee: http://www.tpenoc.net/center_b04_01.jsp . Official blue color should be C100-M100-Y0-K0.